Former Miss Universe and Bollywood actress Sushmita Sen has revealed about her adventurous trip that she is currently enjoying with her daughters Renee and Alisha in Thailand. 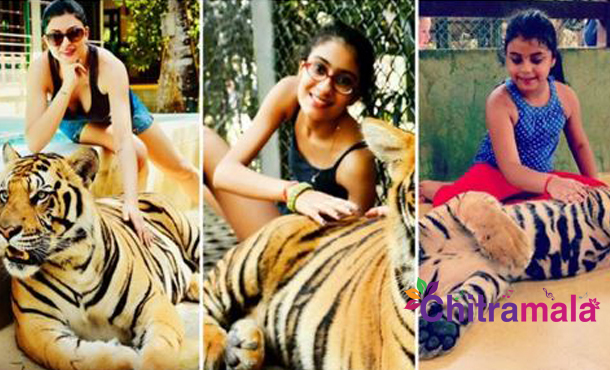 Sushmita’s 16-year-old daughter Renee and 6-year-old daughter Alisah have also joined her mother. The duo also fearlessly and proudly posed with the tiger cubs. “Renée was mesmerized and made friends with three 1year old tigers,they were VERY friendly n loving. Alisah feared a tiger until this moment but now she has found love where there was fear,” shared Susmita.